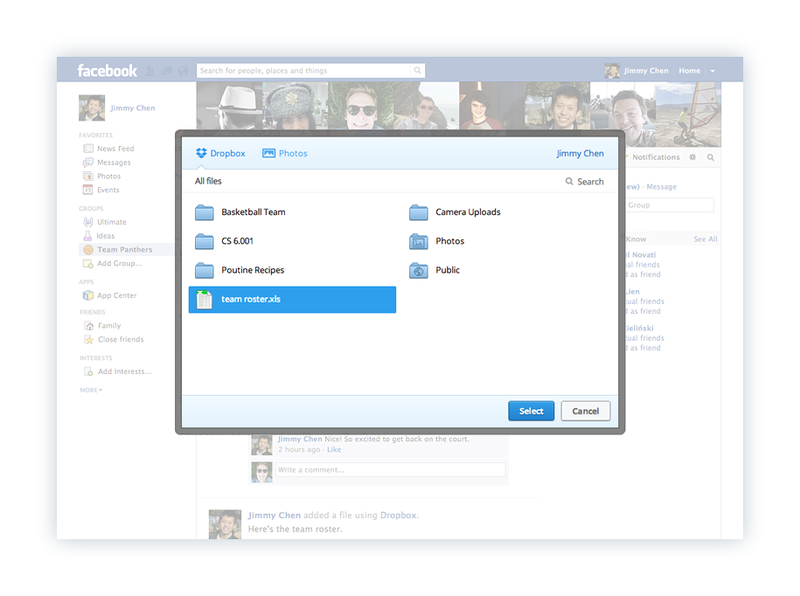 After connecting your Facebook and Dropbox accounts, users will be able to pull up the contents of their Dropbox folders and pick and drop content into Facebook Groups. Everything added to a Group from Dropbox will also be viewable via smartphones and tablets. Users have already had the ability to upload files to Groups, but it’s been a limited feature (anything shared, for example, had to be under 25MB). The Dropbox partnership means more types of media – like video – will be uploadable and that size cap will dramatically increase. The deal is pretty win-win-win, though if anybody’s coming out ahead it’s easily Dropbox. The market for cloud storage and sharing is heating up, and while Dropbox has become a venerable name in this space competition from Box, Skydrive, and Google Drive has been significant. A tie to Facebook is a big benefit, though, and means that anyone using Groups as a real sharing function is going to go ahead and connect to their Dropbox account or get one. The move also means Facebook probably doesn’t have any serious cloud ambitions. The win for Facebook, obviously, is that Groups is getting beefed up and could become a much more viable collaboration tool. Social business and productivity tools are making a big push and getting ridiculously high valuations – think Yammer, Evernote, and juggernaut Salesforce. 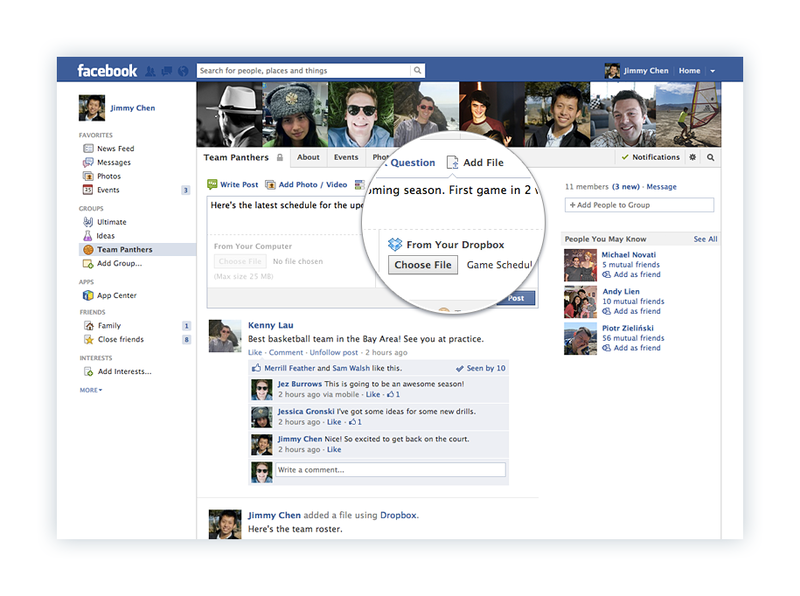 Of course, the hurdle is that Facebook has an image and that image is social… just social. But you can’t claim to be a productivity feature unless you build out productivity features, so it’s a smart move. And that last win, clearly, is for users. The new feature will be rolling out starting today.